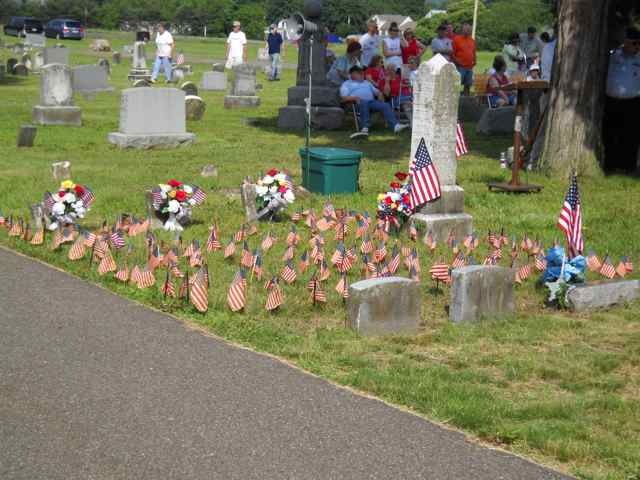 I was asked to pray at our village’s Memorial Day service on May 28, 2012. Here are two prayers that I wrote for the occasion. We come together once again to remember all those who have died in the service to our country. As we remember and honor the fallen, we beseech you to be with us. Instill in us humble spirits as we invoke sacred memory. Open our hearts to the significance of the sacrifice of those who paid the ultimate price. May our words today be a small token of our appreciation that cannot capture or repay the great debt of gratitude we owe. Help us this hour to remember that all around the globe we still have women and men risking their lives in service to our country. Let us not forget that many have sacrificed their health and well being and are still struggling. Convict our hearts to not take their sacrifices lightly or in vain. Empower us to honor with our lives those who have lost life or limb. When we leave this place, embolden us to to take our memories and appreciation with us. Encourage us to live lives worthy of their sacrifices. May we work together to make our country continue to be worthy of their sacrifices. Let us not forget the deep cost of conflict. Protect us from unnecessary war. Guide us in the midst of turmoil. If conflict is necessary, embolden us by the examples of the brave men and women we honor and remember today. We pray these things in your loving name. Amen. Benediction – Let us go forth today with humble humble hearts. Let us live lives worthy of their sacrifices. May we remember the ultimate price so many were willing to pay on our behalf. May we be thankful. And the blessing of God the Father, Son, and Holy Spirit be with you now and always, Amen.